I just wanted to share with you something incredible that happened to me yesterday. I don’t know why, but yesterday when I woke up I was feeling a bit anxious and then the mind just started playing games with me. I was feeling a bit insecure about the “new me” trying to live a life filled with gratitude, joy and positiveness. It’s a bit hard to leave the Gandhi ashram “bubble” and actually continue living with your inner peace and beliefs within an external context which isn’t filled with so much peace and love as what I felt in the ashram and in Manav Sadhna. So it kind of hit me yesterday that it wasn’t going to be easy, that I wasn’t going to be capable, that I wasn’t going to earn enough to sustain a family and many things like this. Should I just go back to what I was doing before? Questions like this kept popping in my head. Anyways, I left my cousin’s house a bit frustrated and sad and headed to Union Square in downtown San Francisco. I got there and sat in a bench in front of the Xmas tree whilst enjoying the view and seeing people skating in the ice rink. 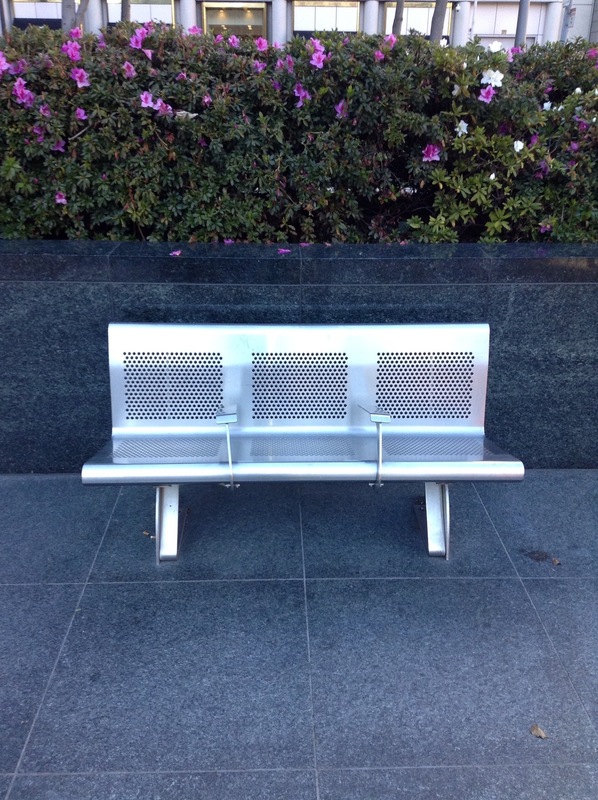 There was a guy sitting in the same bench – who from a first impression seemed homeless to me. As I sat down, I started playing music in my iPod. He was constantly spitting and I don’t know why but I found it amusing. A lot of people close to us felt disgusted and left. After 15 minutes, I took my map out – as I wanted to go out to the Russian Hill from there – and he asked me: “where do you want to go?” And this simple question just kickstarted the most interesting 2 hour conversation I have ever had in my life!!! He knew so many things from the Mayans, to the Greeks, to modern economics, the battle of “Good and Evil”, Aristotle, Alexander the Great, the constant “hunger” for happiness which people nowadays are trying to find with a press of a button. We also talked about consumption, greed and how human beings can’t just settle for something but always want more and more and there is never enough. And finally we talked about a couple of Latin American authors. I told him about my book, the storyline, the message, etc. He shared many of my points. I just couldn’t believe what I had just heard. As the sun was blocked by a building and we weren’t getting any sunshine anymore in our bench, he stood up. We shook hands and he left. I was so overwhelmed by the whole conversation, but moreover for his last words!!! It was as if God had used a homeless guy costume and had planned to meet up with me at Union Square on this specific bench to tell me to keep on being me and to not give up!!! And it was such a direct way of telling me this. I could definitely not ignore it. As I was walking to Hyde street trying to get to the Russian Hill I played a playlist in my iPod which I call “my life soundtrack” and it is mainly classical music. I only have one song which is not classical, and when I pressed “shuffle” this specific song came up. As this song was playing, I actually saw life through the eyes of love. EVERYTHING!!! The people who were walking next to me: a mother carrying her baby, two people working in a laundry room and also a few youngsters enjoying a cigarette outside a bar. Even the things that I still had a bit of resentment for, I saw it with love and forgave a couple of people who were still hurting me. And obviously, I just couldn’t help it and cried it all. I got to the Russian Hill and then headed to the Coit Tower, and the sky was simply beautiful!!!!!!!! God was telling me in each possible way that He loves me and that He needs me. This was – next to the experience with Raghubai in the slums of Ahmedabad – the more direct that God has spoken to me since I became more aware and conscious of His love for me!!!! I felt so thankful for this and more importantly, it helped me to heal a few wounds I still had in my heart!!! It felt as if I was actually given the opportunity to start from scratch and simply love and enjoy who I am in order to serve others through my experience and writing. I felt as if God had given me a new Moleskine notebook to start writing a new chapter of my life. A new beginning. And it just couldn’t have been at a better time as I’m two days away from ending what I have called “The Journey of a Lifetime”. I would like to take this opportunity to thank each and everyone of the people who have been part of this journey. I will be secluding myself from the virtual scene for a couple of months as I’m aiming to finish my second novel in this period of time and need to fully focus on it. It has been a pleasure to share my experiences, my thoughts, my doubts but more importantly, to show that God – who is love – is all around! As this guy told me in this magic bench in Union Square: “God is like the wind… you can’t see it, but you can feel it”. Esta entrada fue publicada en The journey of a lifetime y etiquetada an angel in disguise, Energy, God, love, Positive attitude, Union Square. Guarda el enlace permanente.